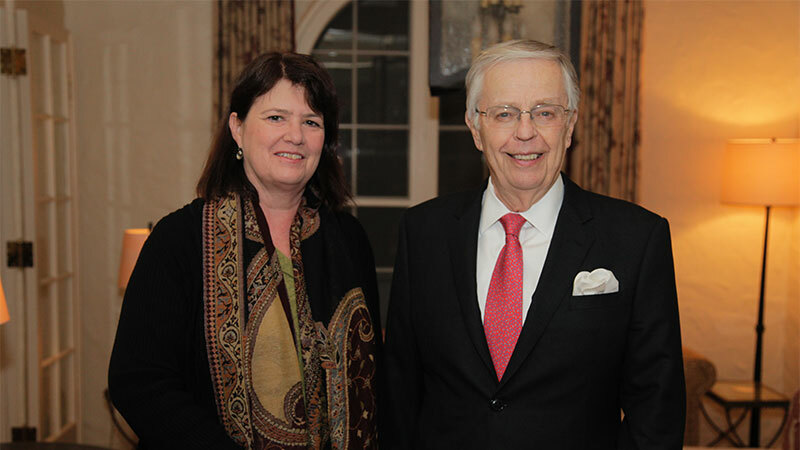 On February 23, 2017, President Thomas F. Rosenbaum and Katherine T. Faber, Caltech's Simon Ramo Professor of Materials Science, hosted a dinner to celebrate the establishment of leadership chairs for Caltech’s six division chairs, provost, and president. The multimillion-dollar endowment funding each chair exemplifies one of the Break Through campaign’s emphases: long-term discretionary funds to secure Caltech’s future as a source of transformative discovery for the world. More than honoring individual distinguished scholars, Caltech’s leadership chairs are linked to specific positions, providing a perpetual source of funds that the current chairholders and their successors can distribute quickly and flexibly when they see special opportunities to sponsor world-changing science, engineering, and educational initiatives at Caltech. Completion of this suite of chairs fulfilled an important campaign initiative and has generated momentum for naming similar chairs for individual departments and other academic programs. 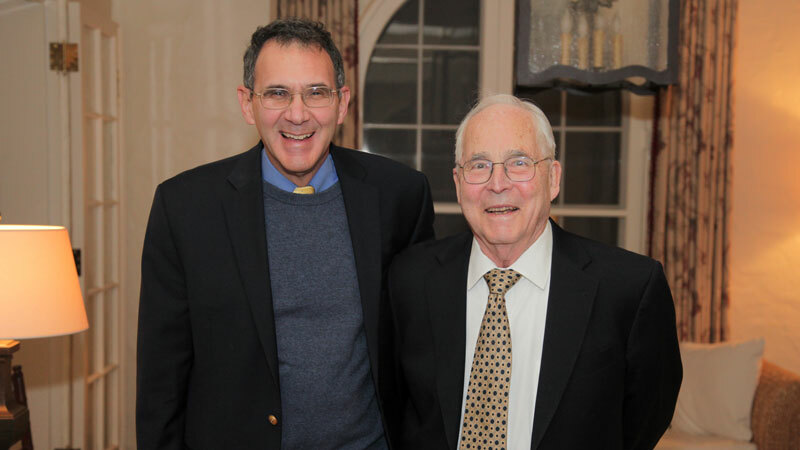 The dinner brought together donors Carl Larson (BS ’52), Kent Kresa, and Ted (BS ’65, MS ’66) and Ginger Jenkins with faculty members who already are applying funds from the chair endowments to support exciting efforts under way at Caltech. In absentia, William (MS ’59) and Sonja Davidow, Shirley Larson, Ronald (MS ’62, PhD ’64) and Maxine Linde, and Lynn Booth also were honored.